Get proper water damage examination and treatment with us! Leaked drains and flooding are common causes of water damage. When dealing with water damage, it is critical to take action immediately. The water damage can start to weaken the foundation of your property and cause cross contamination, making your property a hazardous place to reside in. 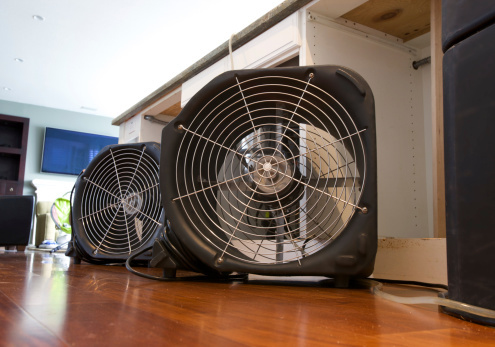 As the leading water damage service provider in Orange County, we are dedicated to providing 24/7 emergency services. Got an emergency flood in the middle night? We’ve got you covered. We realize that every water damage situation poses unique hazards. This is why we offer our customers a complete examination and effective treatment. We are committed to ensureing that your home is properly and thoroughly dried and restored to its former state. Our team of highly trained and experienced technicians will provide you with a thorough inspection of your property to detect the extent of water damage and mold remediation that may be required. During this phase, we document the property and examine the source of damage, its extent, and its effect on the subfloors, property foundation, and building materials. This allows us to provide you with the best restoration application to effectively clean and decontaminate your property. Analyzing the source of damage and its extent. Preparing documentation and initial inspection reports for our customers and record keeping purposes. Allocating technicians that are required to treat your property. Performing risk assessment of the property, its materials, and the potential health hazards. Draining the excess water from the property using relevant tools and protective gear. Removing clogs, dirt, puddles, and the like from sewage. HVAC restoration to dry and ventilate your property. Preparing final inspection and documentation of the property. We are dedicated to providing stellar customer service, which means we will provide you with ongoing status reports and communication. Our team of support staff, plumbers and HVAC technicians will make sure that every area of your home is hazard free. While we can’t guarantee to protect your books, electronic appliances, and carpet, we can however restore all these contents if they are not extensively damaged. As carpets are more likely to incur cross contamination, we treat them separately to restore some of their usable life. We believe in providing our customers with affordable and convenient treatment plans that can help them get their life and property back on track. Depending on the extent of damage, especially in situations where mud accumulation, mold growth, and moisture intrusion occurs, we will create treatment plans that can give you peace of mind. But if you’re not sure about what we can do, you can always call us in at any time for free consultation. Contact us at (949) 461-1141 Water Damage Restoration Services today!